It is an icon, isn't it. 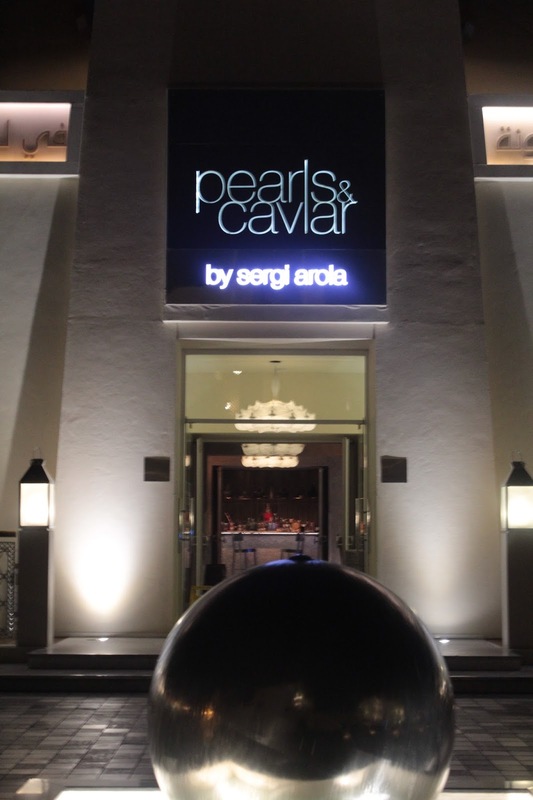 It may have joined forces with two-star Michelin chef Sergi Arola, but to many guests P&C by Sergi Arola will always be Pears & Caviar. 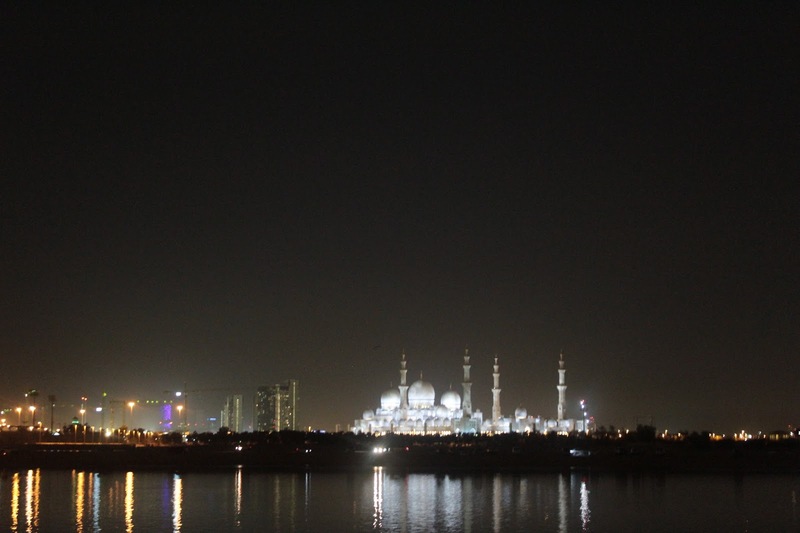 To appreciate that, one has to go back to when Shangri-la opened its doors here in Abu Dhabi. This restaurant was like nothing else. It had a vision and did things differently. As I approach the restaurant, the entrance is iconic in itself, as is the bar which catches my eye as I walk in - I never tire of looking at it. The hostess has a look and walk that makes you feel you are in a restaurant that speaks style. But something is different, and it is something defining. It is the sound of jazz. Sergi Arola is, of course, a huge fan of jazz, and tucked near the entrance, I see a DJ, Julita Witt, who is spinning jazz tunes. It is an actual radio station. 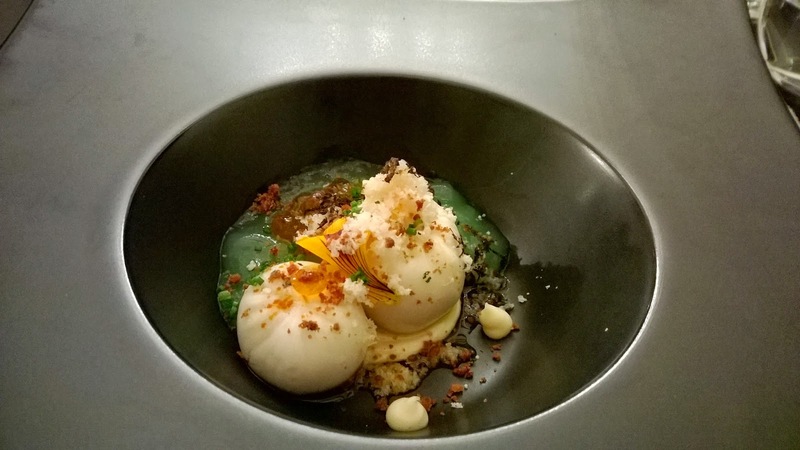 It is a quirky concept and immediately makes you feel there could be a new x-factor to the restaurant. (http://jazzarabia.com/) However, I remain unconvinced but open my mind to see how people respond to the music. Tappas. Of course, one has to start with tapas. This is Sergi Arola's thing. 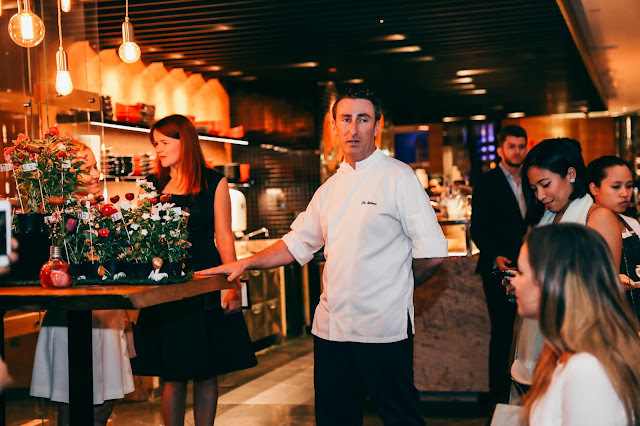 Chef offers to make my guest and me a tasting platter of tapas, a brilliant idea considering that one of the key tenets of Sergi's restaurants is the picas picas concept, which is all about small portions of dishes shared by friends. It seems a logical way to start the evening then. 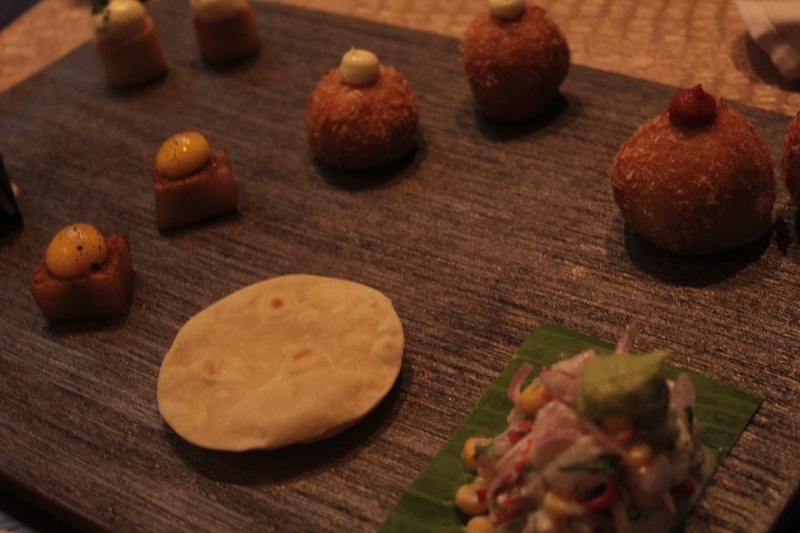 The tapas are presented in a very stylish and cool way, on a black slate plate. My guest and I both love the presentation. The Roasted chicken croquetas are functional, but worth having just for the panko which gives fantastic texture to the dish. You cannot go wrong with Arola's patatas bravas, but as for my favourite? Definitely the Ceviche and Tacos. The ceviche. A friend recently said to me that a ceviche is a ceviche, implying that there was not much that you could do with it. What I like about my ceviche tonight is the bit of coconut and the tacos. Also, abundant lime juice adds a real tang to it. So no, a ceviche is not a ceviche! 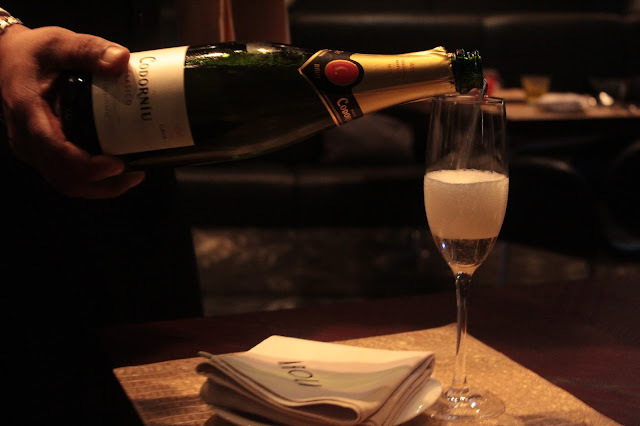 To drink, we start with the Cordoniu Clasico Cava. I am thrilled to be having Cava. I think with the immature bubbly market in Abu Dhabi what it is, there is an obsession with a rather limited range of champagnes, and people simply do not appreciate cavas and proseccos. The Classico is fresh and fruity, but with a dry finish. A delightful hint of citrus makes for a fantastic alternative to over-priced champagnes. For our mains, we order the Scallops with samfaina and the Seabass. The scallops are beautifully cooked; lightly seared, so it has retained all its moisture and goodness of the sea. 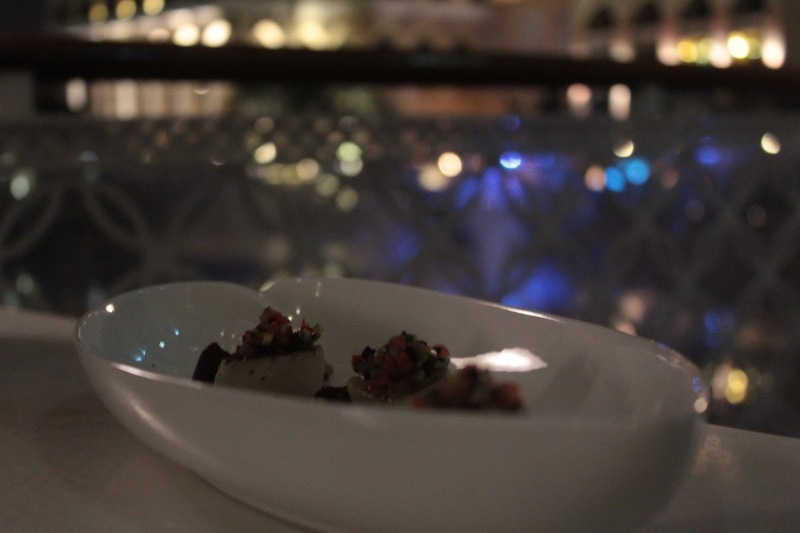 The samfaina gives the scallops an earthy quality while the beetroot puree surprisingly makes it a very homely dish. 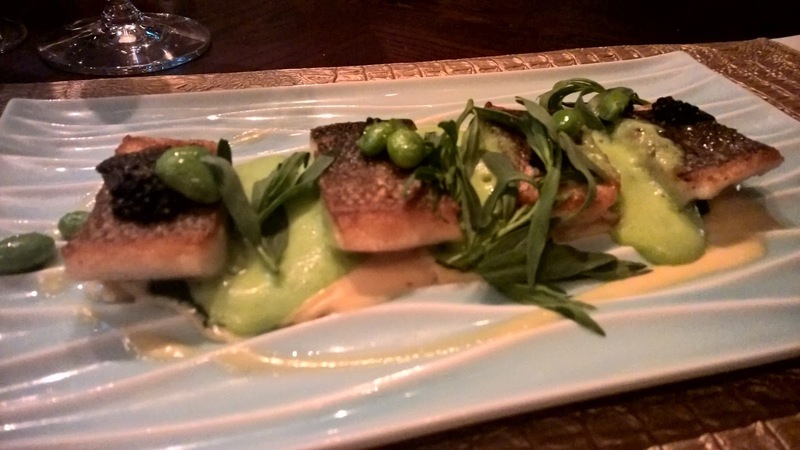 As for the Seabass , it is naturally flavoured, meaning all the flavour will come from what else is on the plate. The aroma of tarragon reaches our table long before the waiter has placed the dish on the table. A slightly ajar door aids this as a light breeze carries the tarragon through the restaurant. The Sea bass is marked by a beautiful crispy skin that lends so much texture to the rest of the dish. However, if you have bitten into edamame, you will now that it has wonderful texture too. Finally, Sevruga caviar, known for its more intense flavour than other caviar, brings just that to the dish. At the end, I find myself reaching for a piece of bread so I can lap up what is left of the cava sauce! As far as drinks go, something innovative on the Abu Dhabi dining scene is the specially created drinking packages at the restaurant which allow you to have unlimited drinks for a set time, anywhere between 1 and 3 hours. 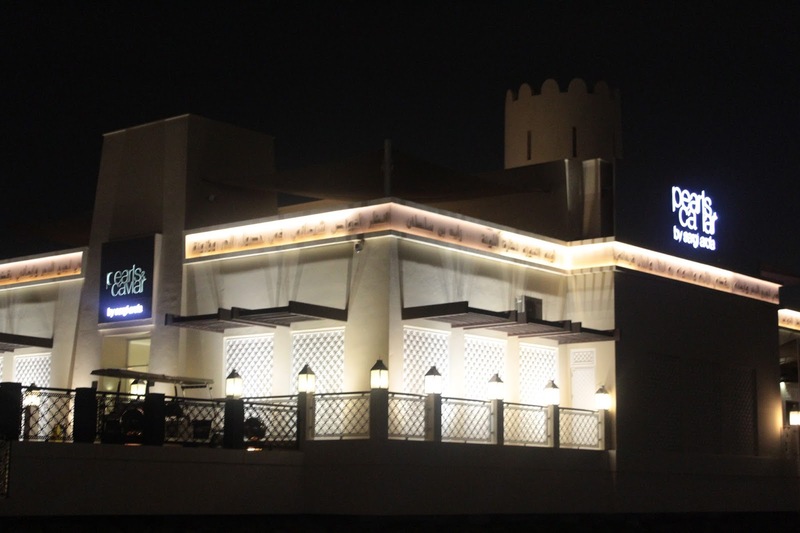 With options from 50AED per hour for a selection of soft drinks, to 3 hours of beers, wines and champagne. Quite a brilliant idea I must say. 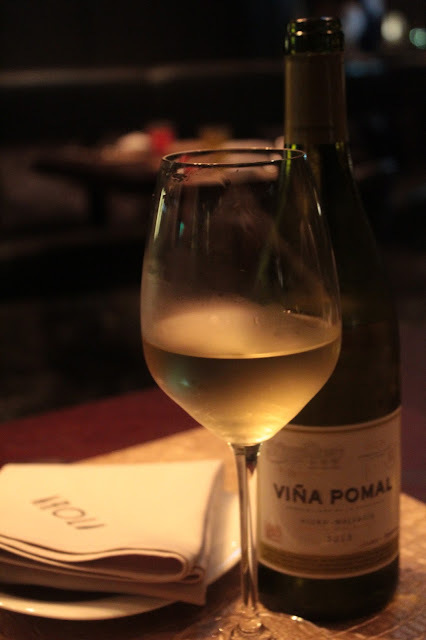 I have a glass of the 2013 Rioja Vina Pomal Blanco. This aromatically rich wine is full of white fruit like pear and has just a hint of spiciness. A good recommendation by the waiter to go with the sea bass. Quite astute. Moving on to desserts, they are a must-mention moment this evening. Chef Dasha Ermekova, a Russian pastry chef wowed me once before when I tried her creations at a brunch, reprises her role. 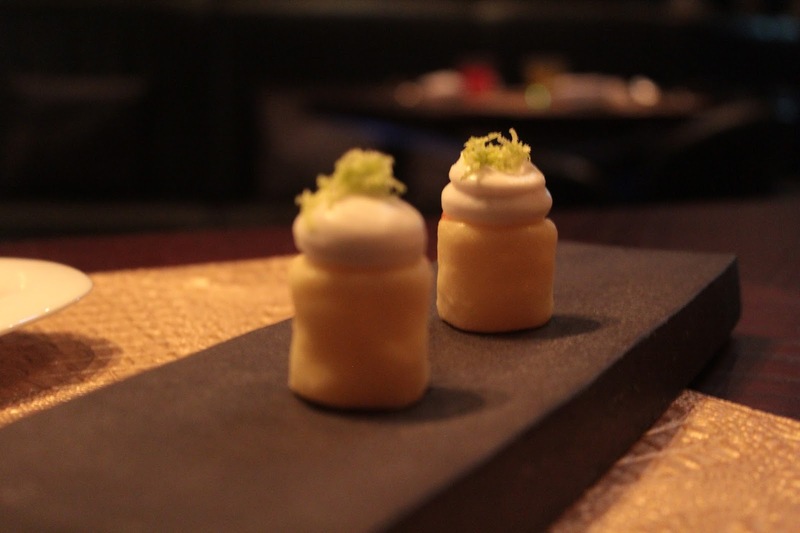 We start off with tapas-like sized Sweet bravas that are little treats of happiness. Pineapple, lime and coconut cream are simple on their own, but there is also raspberry infused with Thai chilli, allowing Chef to raise this dessert to another level. But it is the Chocolate in texturas that underline her skills in this department. Perfectly balanced truffle ice cream might be seen as the highlight of this dessert, but it is as the name suggests, about chocolate. 64% dark Valrhona chocolate ensures there is no guilt about too much sugar. But if you need that sugar fix, caramelised sugar features at some point in the dessert. But going back to the chocolate, the Chocolate ganache has such exquisite texture that it just dissolves in the mouth, so to speak. 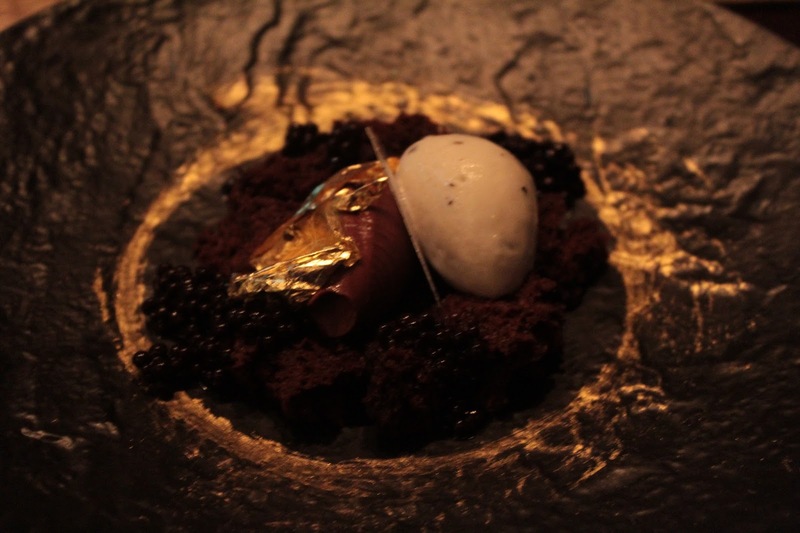 It is one of these desserts where individual parts are so delicious, but when you have a bit of everything at once, that is when Chef Dara's ability to bring together ingredients reaches its peak. 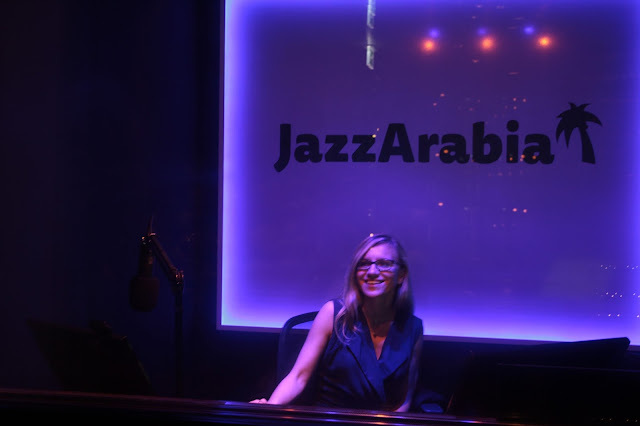 Something innovative on the Abu Dhabi dining scene is the specially created drinking packages at the restaurant which allow you to have unlimited drinks for a set time, anywhere between 1 and 3 hours. 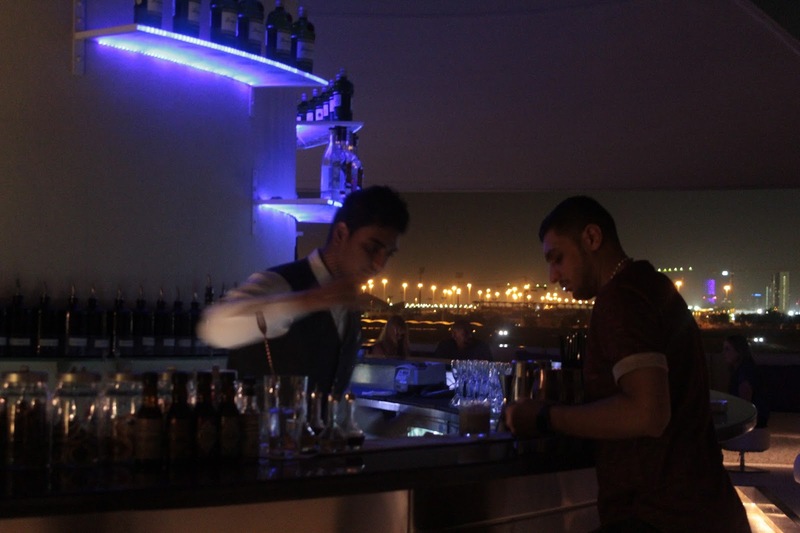 With options from 50AED per hour for a selection of soft drinks for an hour, to 3 hours of beers, wines and champagne. Quite a brilliant idea I must say. After dinner, we go upstairs to the legendary Pearls Bar. The hotels on the canal offer some spectacular views, but with the bar's vantage point, not many venues can compete with it in terms of views. This has been written about often, but bears repetition - the views are sumptuous indeed! It is a lady's night, so the bar is quite packed, making for a great atmosphere. 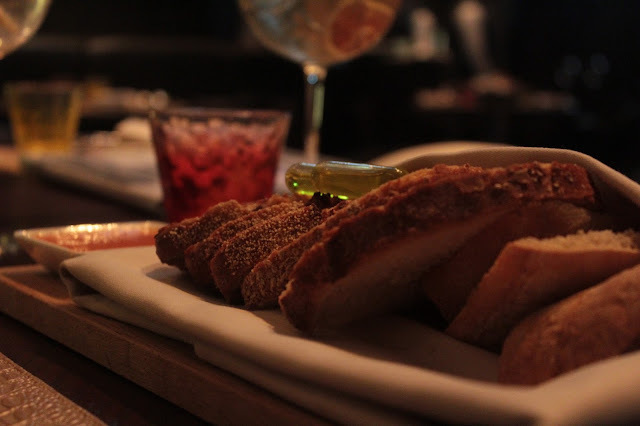 Prices are good, the drinks are what you would expect, but make sure you try some of the signature gin-based cocktails, another Sergi Arola concept that he has brought with him. The guys behind the bar are on top of their game and are much freer obviously in expressing themselves. Service is certainly more relaxed than downstairs, and staff are more inclined to engage with guests. Good. As the evening ends, I think about a question I had in mind which was whether or not the whole jazz idea works. I think the issue for me was that I remember the old Pearls & Caviar being a young venue, where upmarket 20 something millennials came for their dinner and cocktails. Tonight I spoke to a few guests, all 40+ who really enjoy the concept. So, Sergi Arola's idea of jazz and the restaurant, based on tonight anyway, seems to be working. However, I would like to see the restaurant create its own identity and really be almost a stand alone restaurant. Staff with funky hairstyles, multiple earrings and tattoos - that is the P&C by Sergi Arola I want to see. Service should be slick, edgy but still from the heart, returning to Shangri-la's corporate identity. Disclaimer: I consult at restaurants and hotels in an attempt to look at the entire product to take service levels to where they should be. I visited P&C by Sergi Arola courtesy of the hotel.